Still photos are cute and all, but videos are even better. The three dogs I met with at the shelter this week got to star in their own mini-movies and seemed to enjoy being in the spotlight. 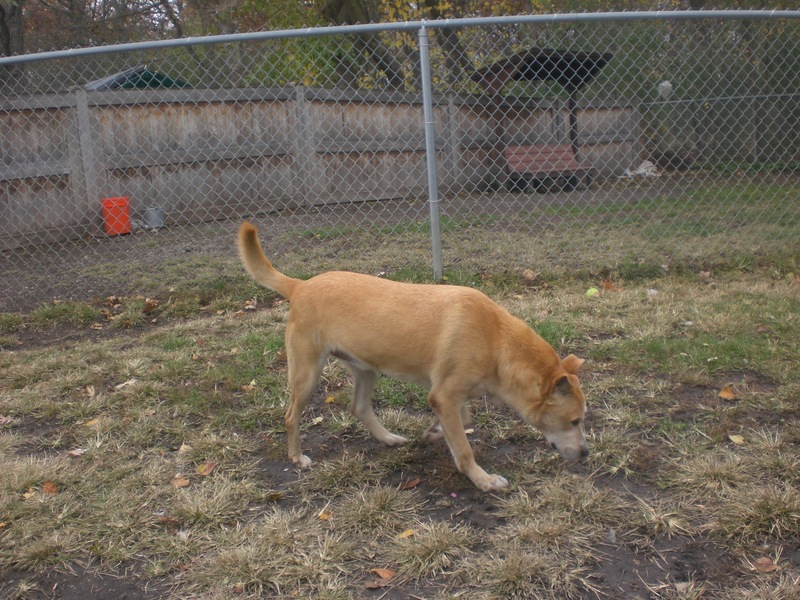 Goldie is a beautiful six-year-old Shepherd mix. She looks a little bit like a fox (in my opinion) and is just as clever. Like Billy, she knows that treats come from pockets and would get very excited any time I reached for mine. 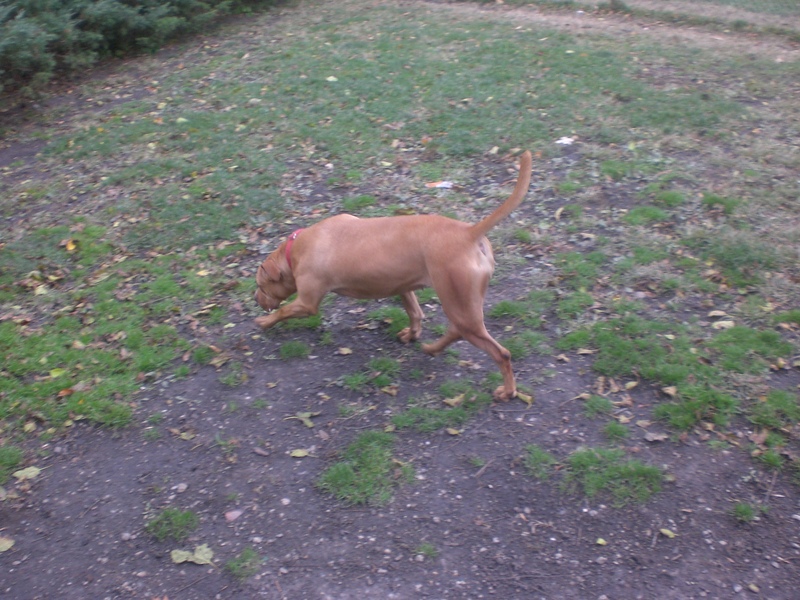 Also, while sniffing around the bench inside the run, Goldie crawled underneath and found herself a bit of doggy treat that had been abandoned by another dog. Very appropriate for Halloween. She has big, perked ears that fold back against her head when she’s getting a good pat. Goldie’s another dog who gets a little tickly when scratched by her hips. She liked walking under my legs while I sat on the bench, and when I knelt down to her level she was happy to stick her nose in my face to say hello. 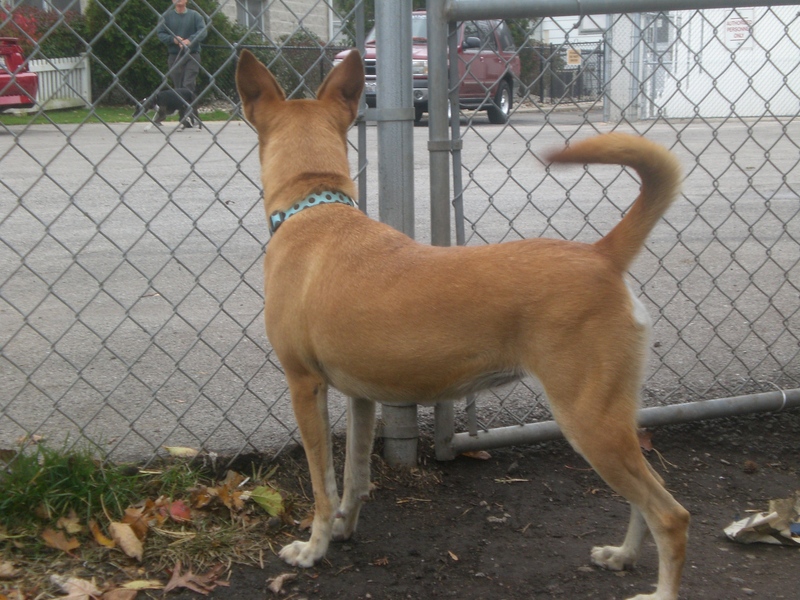 Although Goldie is part Shepherd, she’s a very manageable size. As another person looking for a dog at the shelter said (which you might be able to hear in the video), Goldie is a pretty girl. A volunteer I met at the shelter last week requested that I write about Dina, a seven-year-old American Pit Bull Terrier mix. She’s a big, sweet girl who liked to do lots of sniffing around the run. Dina loves a good back scratch, and will lean with all of her weight against you so she can get as good a scratch as possible. Dina was the first dog to jump up next to me as I sat on the bench, so there’s a good chance that she has the capability of being a bit of a couch potato. Dina is extremely obedient. At one point, she decided that the leash was a toy and wanted to play tug-of-war. I knew I would lose, so I just let go and waited for her to drop it. When she did, I picked it back up and said, “Dina, no,” so she would know that the leash is not the same as a toy. She sat right down and stopped trying to get it back from me. I, of course, gave her lots of pats to let her know she’s a good girl. Cody was last for the day, but certainly not least. I kind of fell in love with him. 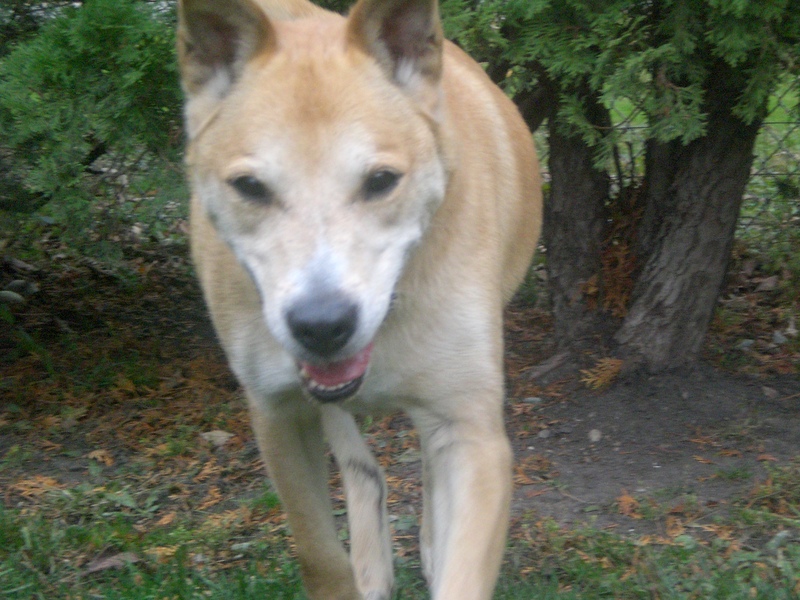 Cody is an eight-year-old Shar Pei/Labrador Retriever mix who has been at Orphans of the Storm® since last November. 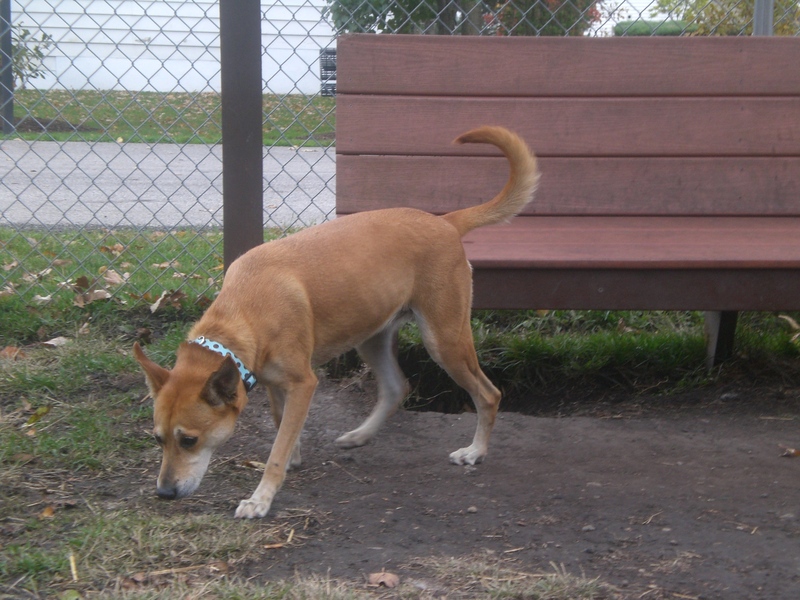 He, like Dina, jumped up on the bench next to me and loved getting his neck scratched. And look at his face! The wrinkles on his forehead seem to be one of the few visible signs of his Shar Pei roots, and they make him that much cuter. Cody is an absolute lovebug. The muddy paw prints on my jacket are proof of his happy hugs. Whenever I opened my arms wide, he would come running back to me and give me a few doggy kisses. When I asked him to sit, he did so immediately. Such a good boy! These three sweethearts all deserve another look. Stop by Orphans of the Storm® and say hello! 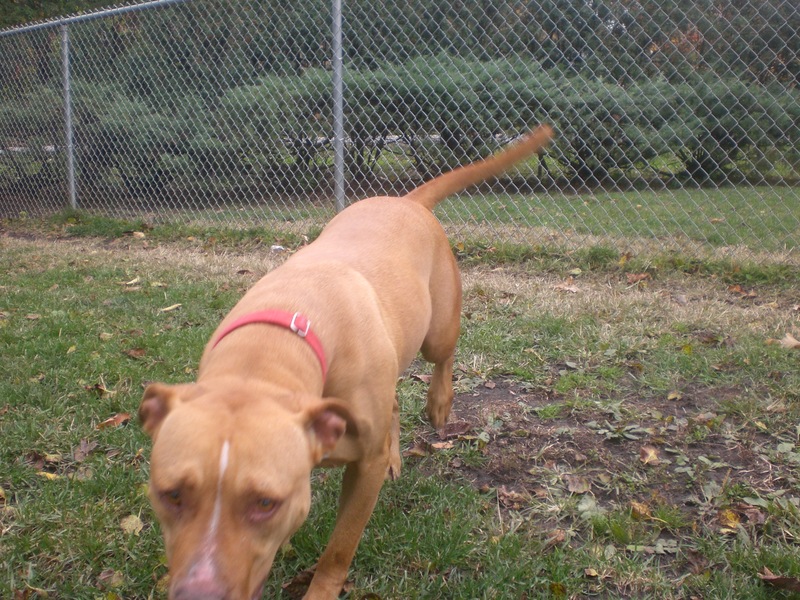 Posted by Meet the Pooches on November 1, 2011 in Dog Profiles and tagged adoption, American Pit Bull, Chicago, dogs, Labrador Retriever, Orphans of the Storm, pets, Shar Pei, Shepherd. A very nice look at some very nice dogs! Well done!